Playdates are crucial to a child’s social development. For young children, play is the most important aspect of a get-together. Just hanging out, sharing toys, and using language is beneficial. But as children get older, playdates can be more than just toy time. Here are some of our favorite playdates to stimulate creativity, social growth, and keep both children and adults engaged. Whether indoors or out, it’s fun to put a written or picture list together and have children collect the items on it. 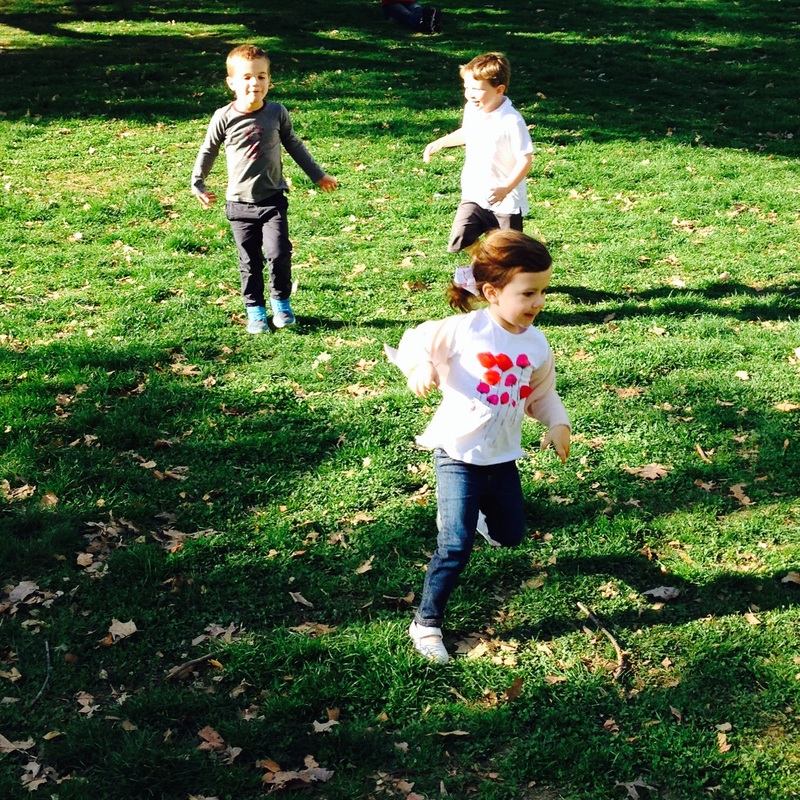 Our favorite is a nature scavenger hunt in the park. Choose one that is child-friendly or take on a smaller part of a bigger museum. We love to bring a sketch pad and some materials for children to create their own masterpiece based on a work they like. Children love to cook, set up, and serve. Make a simple meal with them and then head to the park (or the playroom) for a picnic with all the fixings: blankets, baskets, and bounty. Create a pots and pans band by pulling out kitchen tools that can double as instruments. Mix those with any real ones you have, throw in some fun dress-up, and you’ve got instant rockstars. Take pictures or video of the performance. It is never too early to introduce children to social responsibility. Take some friends and volunteer at a soup kitchen, collect old clothes and canned food for donations, or decorate piggy banks for collecting money that will be donated to a charity you choose together. 6. Put on a show. Have children decorate invitations to a performance. Give them dress-up, instruments, props, and music and see what kind of wacky, creative talent show they can put on for anyone around. 7. Travel to an international neighborhood. A cultural experience doesn’t have to require a foreign trip. Pack up some friends and head to Chinatown or any ethnic neighborhood. Explore the shops, try some food, and engage in conversations about the differences you see around you. 8. Set up a photo shoot. Children love photography. Using digital cameras, have children take pictures of each other or anything that catches their eye. Let them get creative. Once the shoot is over, print out the photos and let them create a portfolio of their work. 9. Create a project based on a book. Choose a favorite picture book, read it as a group, and then break out the craft kit to make a project that is related to the story you read. Children are obsessed with transportation. Take a long subway ride and let children watch out the window of the first car. Or take a ferry, tram, taxi, or bus ride all over town. Bring a camera and photograph cool things you see.